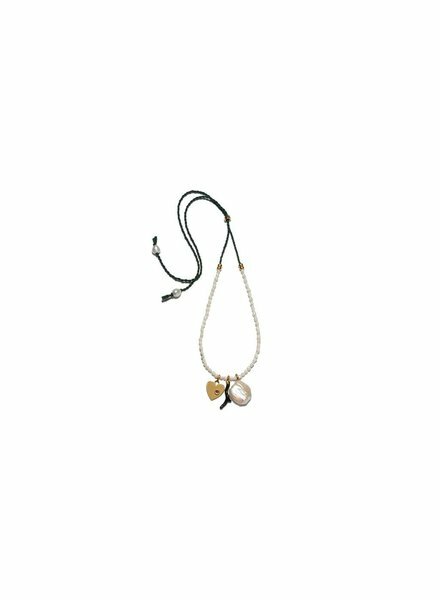 Beach, office, opera - where can't you wear this pearl collar necklace? 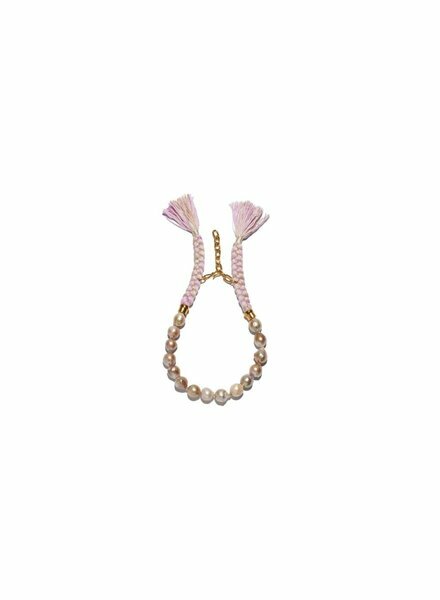 An updated take on the classic with lilac hand-braided tassel closure. 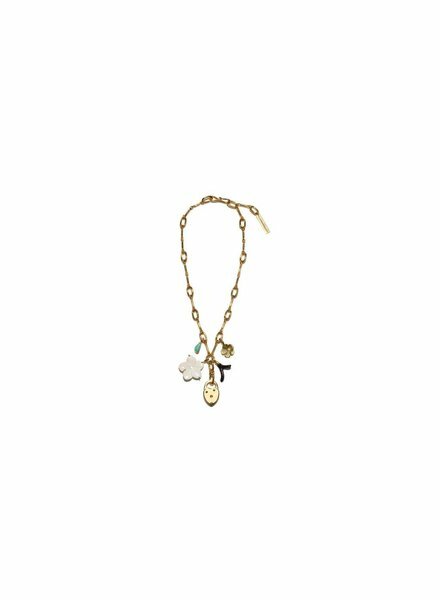 Gold-plated brass Freshwater pearls, silk tassels Drop: 7" Extension: 2.25"
A subtle wear-everyday layering piece with an heirloom feel. 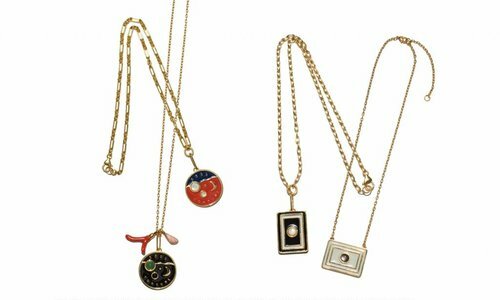 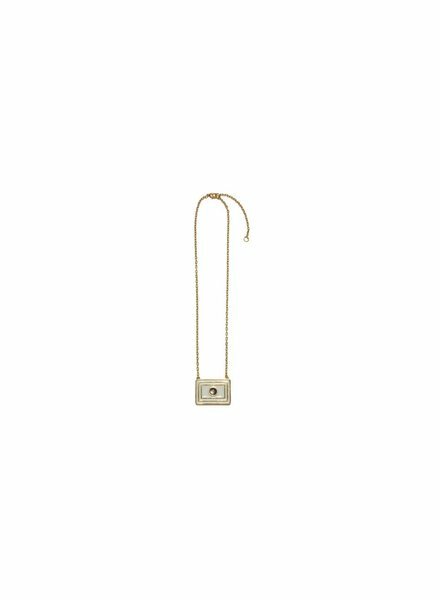 Your good fortune is assured with the gold-plated vermeil chain necklace and brass "frame" pendant in cream enamel and black pearl cabochon. 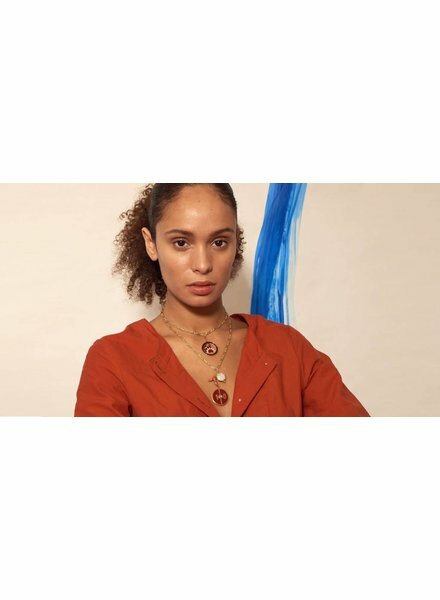 Looks amazing with the Fortune Necklace.